Do you have a broken or missing tooth? There are lots of disadvantages attached with this. Apart from the fact that you may be unable to eat or chew well, you will also lose the visual appeal of your teeth. You will not be able to smile in public. You may even lose your confidence. Well, you need not worry any longer. Dental Implants is here to save you from the mess once and for all. With Tavares Dental Implants, you can replace your missing or broken tooth. Thus, you get back the lost glory of your teeth. Dental implants are artificial teeth used for replacing broken or lost teeth. 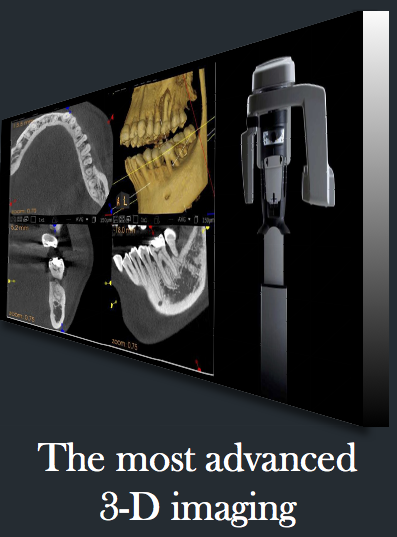 The implant will be placed in-between your jawbone. Provided the dental implant procedure is properly executed, your new dental implant will become a permanent part of your mouth. They will replace the missing or broken teeth, and serve you for a long time. The best part is that these dental implants look and function just like your natural teeth. The implants match your other teeth flawlessly. No one will have the slightest idea that you are putting on artificial teeth. 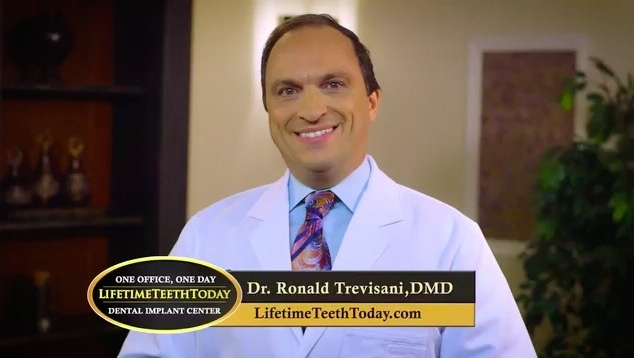 If you are looking for a competent Oral Surgeon in Orlando that provides Dental Implants throughout Central Florida, Dr. Ronald J. Trevisani’s dental office – Lifetime Teeth Today – is the perfect place to get it done. Lifetime Teeth Today have been recognized to provide first class dental implant services. For over 20 years, we have been serving the dental implant needs of various patients in Tavares, and neighboring environs. At Lifetime Teeth Today, we care a lot about you and your oral health. For this reason, each and every one of our services are dedicated to offering you the best dental and oral care services. We can help you replace a single tooth or multiple teeth. We also offer the replacement of your entire teeth. Dr. Ronald J. Trevisani and his team of qualified dentists are always ready to offer you a painless, stress-free Florida Dental Implants procedure. How do you qualify for Dental Implants in Tavares? A lot of patients still qualify for our Central Florida Oral Surgery, however, certain criteria need to still be met. Before we can place a dental implant into your jawbone, your jawline needs to have an appropriate amount of space and bone integrity. This guarantees that the implant will be held in place. 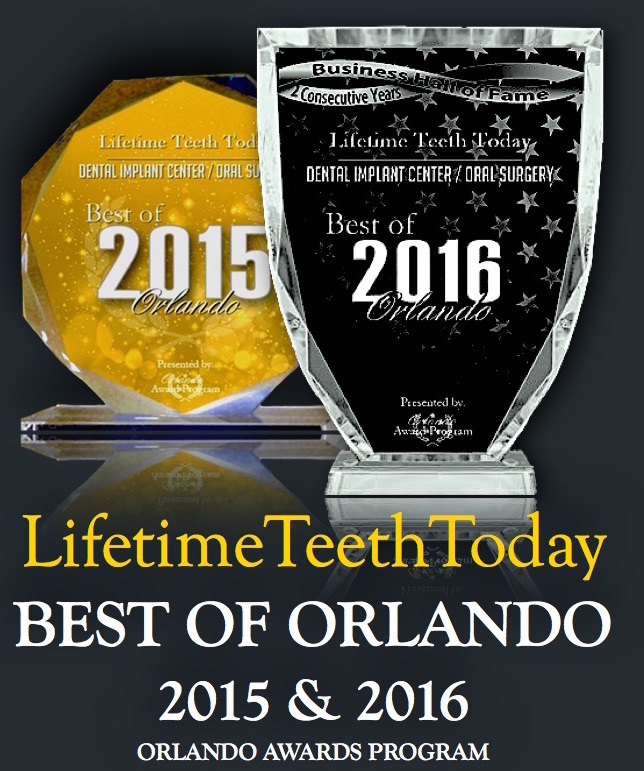 For you, dental implant in Tavares procedure or Central Florida Oral Surgery always turn to Lifetime Teeth Today. At Lifetime Teeth Today, we work with a team of highly qualified, professional dentists who know how to provide Dental Implants services that will be a success. We are always ready to provide an excellent, long lasting solution to your broken or lost teeth and any other dental problem. Our professional Dental Implant procedure offers you the ideal opportunity replace any or all of your missing or broken teeth with a perfect match. 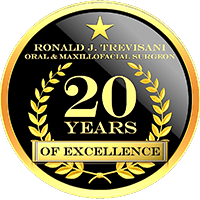 Dr. Ronald J. Trevisani and his team of qualified dental care professionals will use cutting-edge equipment, and ultra-modern techniques to carry out the dental implant procedure. For your Tavares Dental Implants, you can always trust on Dr. Ronald J. Trevisani and his team of qualified dental care professionals at Lifetime Teeth Today to deliver a flawless procedure. With our primary aim of helping you restore your beautiful smile, confidence, and at the same time improve your oral health, all available resources will be dedicated to offering you outstanding dental care services. Lifetime Teeth Today offers you the ideal solution to the hole in your teeth that is making you feel less-confident in public. Our dental implants are highly stable and very effective. We boast of a high success rate and guarantee you of getting a dental implant that will serve you for years to come. All our Central Florida Oral Surgery and Tavares Dental Implant services at Lifetime Teeth Today are aimed at helping you restore the form and function of your tooth. Contact us today to discuss the ideal options for your dental implant in Tavares. Our team of qualified dentists will be available to respond to all your inquiries.